Makeup techniques vary with season. During summer more of light and soft hues are used, in the deep winter, colors can help to hold up your makeup. Autumn is a transition period between summer and winter, and it needs a little bit of this and that. When winters need heavy shades, autumn still holds some warmth. Finding the right balance is the key to good makeup. Get ready to celebrate the warm and youthful autumn with the best makeup tips. 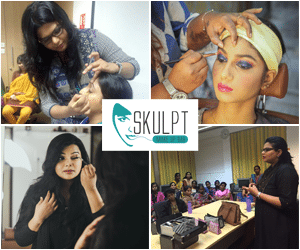 Skulpt makeup artist course in Chennai conducted workshops and seminars to educate people on the latest makeup trends. Personal classes for makeup go a long way in nourishing your skills. Whether it is the summer glow or winter sparkle or something in between to welcome the autumn, there is always a makeup trick up the sleeve. Just like any other seasonal makeup for autumn makeup also start with a foundation. 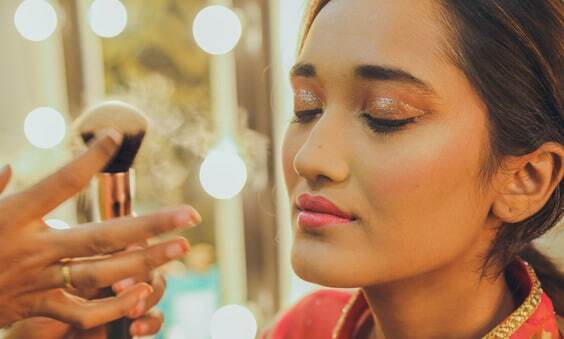 Forget about the heavy foundation and opt for a lighter base as your skin will not need bronzer now. If you still find the after affects of cold weather opt for moisturizer. Use the right color to transform your skin tone. Move away from pastels you were using in the summer months to earthly tones. Forget about pinks and blues and opt for earth rich colors like orange, brown. You can also see a lot of gold and green being added during autumn. Gold is suitable during the day. Shimmers are stored for the evening. The same shades can be used for the blush. To the cheeks add some glow. Stressing on the sun tan shades are not recommended, but you can add some glow to the cheeks. Keep close to natural colors for the best effect. Eye makeup techniques are also changed to meet the demands of the season. Eyeliners and mascara are used, but you will move to liquid eyeliner. Add extra but do not exaggerate. Berry is also the hottest trend during autumn. Add purple in your eye makeup and berry shades for your nails. Smokey eyes are also trendy during autumn. It gives a dramatic appeal during the evening. Purple is in this season and make lavish use of this. Start with applying primer for your eye; it helps the makeup to stick for long. The primer has to be applied from lash to brow bone. For the upper lashes use a dark liner, deep purple is advised. Use a gel or liquid liner. Give some girth in the center and thin it at the corners. In the lower lashes use lighter line. Powder liner or pencil is suitable for lower lashes. Use a tiny brush for better effect. A lighter shade similar to the liner can be used for the upper lash. Now use light purple eye shadow, start it from the lashes and move towards the crease. Personal makeup classes will teach you that a darker purple shade is preferred for the crease. Choosing your wedding eye makeup color during autumn can be tricky. For a bride, wedding makeup for eye can literally make or break the bridal look.Use a dark color over the eyeliner and blend upward and little towards the crease. For a smokey effect try applying more eye shadow of the darker shade. If you are looking for some drama, try lighter purple and apply on the crease to the brow bone. Eyelash curler can help curl your lashes, apply black mascara to get all the attention. Complement it with a rosy blush and pink lipstick.